Denise M. Brandstrom, 55, Grand Rapids, died Friday, November 30, 2018 in her home. Born April 25, 1963 in Grand Rapids, she was the daughter of Delbert R. and Pauline E. (Feldhous) Brandstrom. 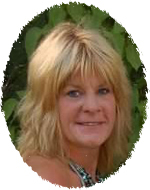 Denise was a lifelong Itasca County resident and had attended Balsam and Grand Rapids Schools. She enjoyed gardening, traveling, and her dogs. Her parents and a son, Eric Makinen preceded her in death. Survivors include her children, Darla (Josh) Clemens of Lawrence Lake, Ashley Kastner and Dylan (Bobbi) Bell, both of Grand Rapids; grandchildren, Kaylee, Kody, and Katelynn Clemens, Colton Kastner, and Adaline; siblings, Darwin Brandstrom of Bovey, Darrell (Shelly) Brandstrom of Bigfork, Danette (Tom Kemp) Brandstrom of Hibbing, Duane (Jennifer) Brandstrom and Darnel Brandstrom, both of Bovey.